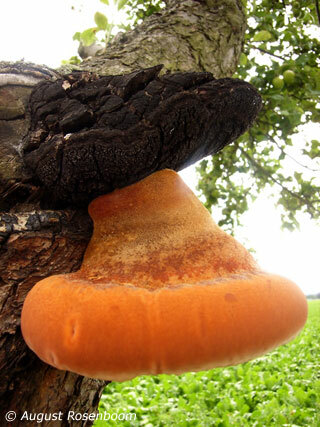 Enters through wounds on the branches and trunk and decomposes the heartwood. 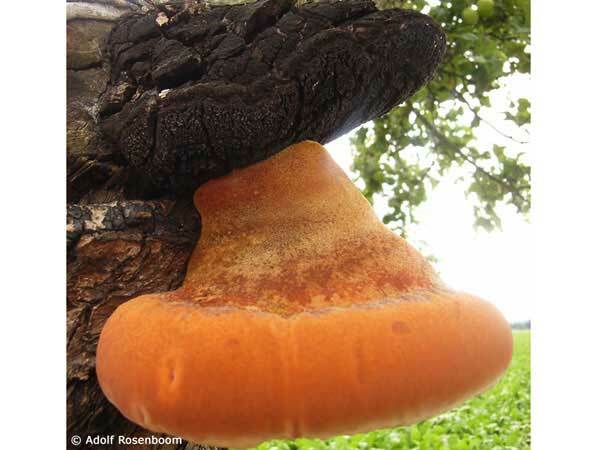 Fruiting bodies are found frequently high on the trunk. 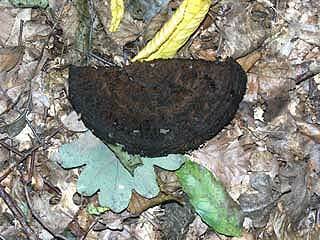 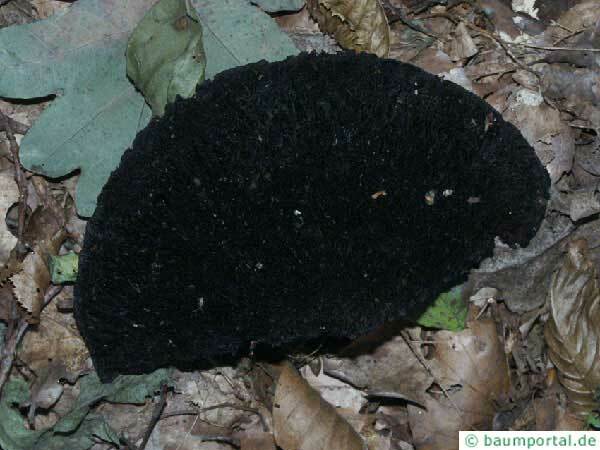 In the fall, dead fruiting bodies are black and found on the ground.